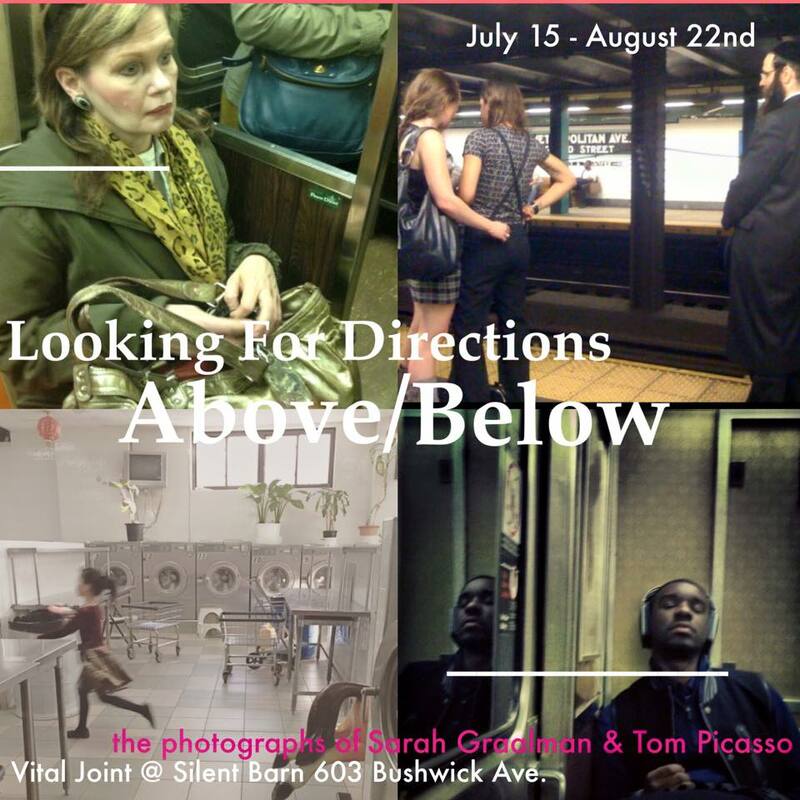 Join us for the final weekend of our photo exhibition at Silent Barn with two original pieces of theatre performed by Sarah Graalman and Tom Picasso with Dalton Deschain on guitar. Pt. 2 will be a performance of Sarah’s “Counter Culture,” a one-woman show highlighting her adventures as a professional make-up artist in NYC. This is her first re-mounting after her wildly successful showing at Dixon Place back in April. Our photos will be hanging as well in the space. Come all for a great night of new theatre, some new photography, and a chance to take in the late summer lawn of the Silent Barn with a full bar, snacks, and good people all around. Thomas J. Picasso and Sarah Graalman have amassed hundreds upon thousands of photos, capturing the day to day lives and interactions of New Yorkers, both on the subway and throughout the city. 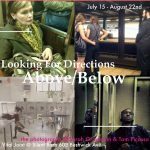 Their technique has been honed by feigning being lost on subway platforms and city streets, as they capture faces and moments. All the images on display were taken on their iPhones between the years of 2010 to present day. The two collections have much in common. They highlight moments both public and private with their unknowing models of everyday New Yorkers. There is a draw to the young, the old, the working class, and the monetarily and spiritually fabulous. Yet upon closer inspection, one finds two distinctive styles that emerge. For Sarah, each photo is a documentary. They are of the moment, and have a clear and definite story that she creates, and the viewer understands right away. There is a wit and subversiveness that comes through, and taken together, one senses not only the heightened feelings of the people she chooses to photograph, but of the bravery and proximity she puts herself in to capture that electric moment. Tom’s photos expose singular experiences in a vast environment with shades of portraiture coming through. The environment tends to be bigger than the subjects themselves, and the story is left for the viewer to finish writing. Two New Yorkers. Two iPhones. One City.